In addition to our end of the year spring recital we will be having a winter dance showcase! 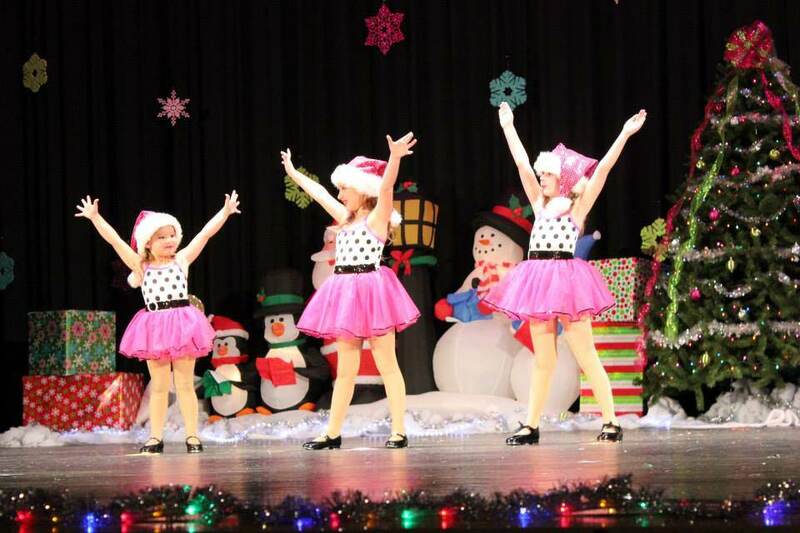 This will give your dancers the opportunity to perform for their family and friends twice a year while supporting a local charity during the holiday season! This year we will be supporting our local chapter of Toys for Tots. This year our winter show will be held on Saturday December 16th at Dacula High School in the theater. The performances will be at 1:00 and 3:30. Each class will perform in just one show. In order to keep the winter show simple and cost-efficient to allow for the most money to go to our charity, there is no costume to purchase. Instead we will ask each class to dress alike based on their dance. For example, one class may wear are all black dance clothes, or winter show t-shirt and jeans, etc. Teachers will send out class dress requirements in November. Tickets for the show will be $5 each and you will be able to purchase those beginning in November.